My mother has expensive taste which she has passed on to me. This means a card and a bunch of flowers do not cut it on Mother’s Day. 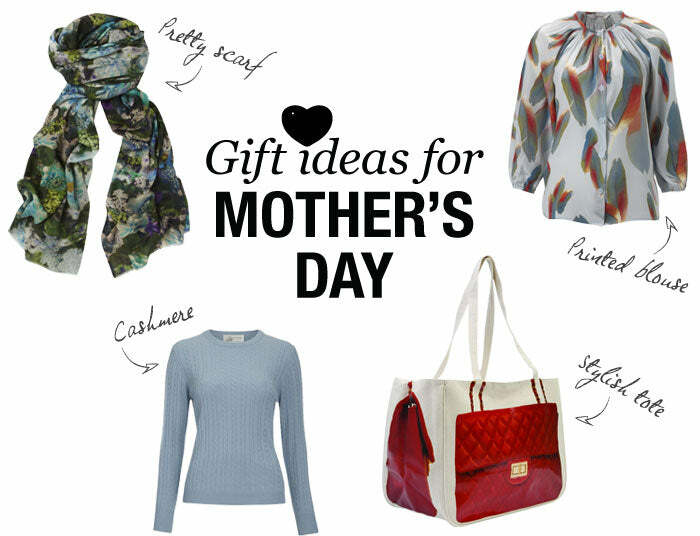 So here are my top tips for the perfect presents to keep your mum smiling this Mother’s Day. The way to my mother’s heart is with cashmere. If your mother is anything like mine, you could try something from Madeleine Thompson. I love the Asymmetrical Jumper in Oatmeal and Navy. We also have a new brand called Feel The Piece, which has lots of beautiful knitwear, and I am currently lusting after the Round Neck which is a very fine cashmere, perfect for summer evenings. The J Brand Collection has the gorgeous Martha Knit Pullover in Cornsilk and Ash. If you know that your Mother is a Tucker fan you could try one of the new styles and prints that are available exclusively at Donna Ida. The Fitted Shirt looks great with a pair of flares from Citizens of Humanity and they give a nod to the 60s with their strong retro feel. The Tucker blouses and shirts never date and they’re always such a warm addition to any women’s wardrobe adding a much-needed splash of colour and pattern. For more of a little treat you could give her a Hanky Panky or two. These are the most comfortable knickers a woman will ever wear - whilst also getting rid of any unsightly VPL. The other option, which never fails to keep my mother happy, is a scarf. A favourite of mine is a brand called Lily & Lionel; their scarves are beautiful, especially with their new Spring prints.